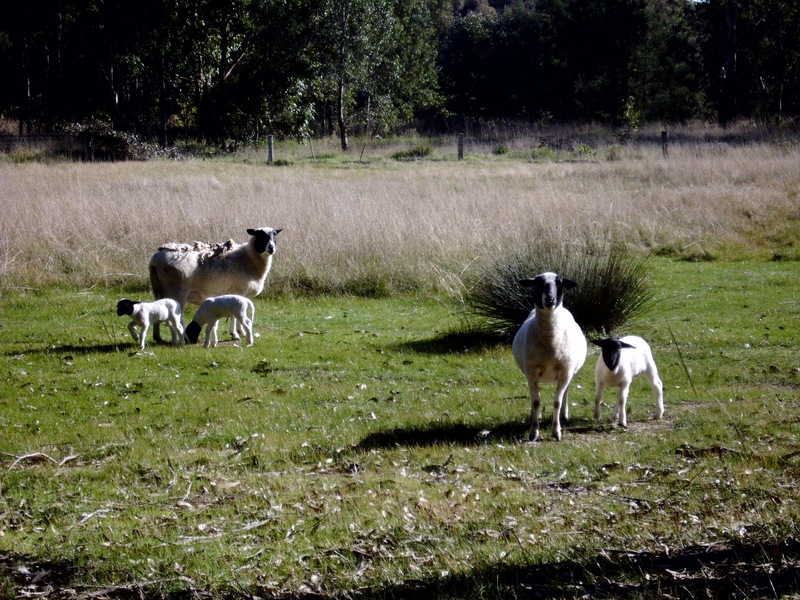 I’ve finally embraced the need to move my blog over to WordPress and with Nadie’s help, here we are … and that’s not the only newness around here this week either. 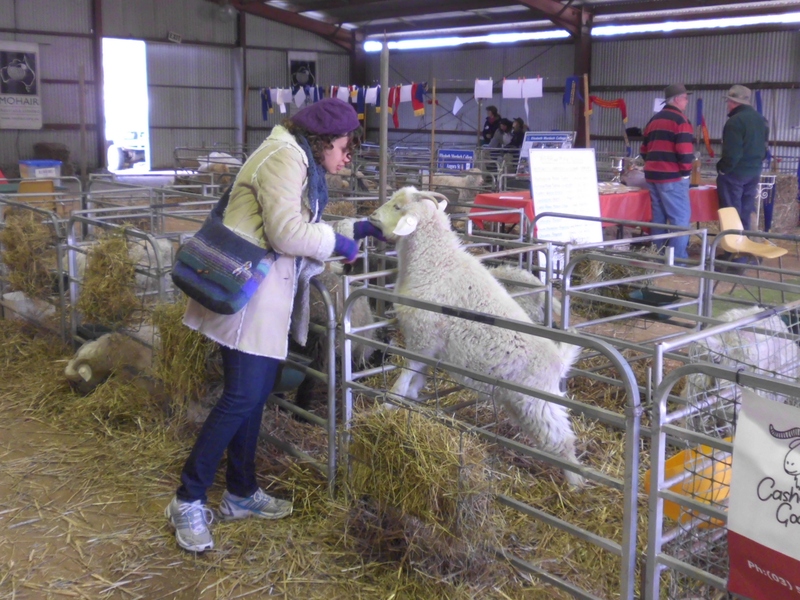 Almost any yarn-oriented person in Australia, certainly anyone that hasn’t been living under a stone for the last several months, will have been aware that the Australian Wool & Sheep Show was on in Bendigo last Friday, Saturday and Sunday. 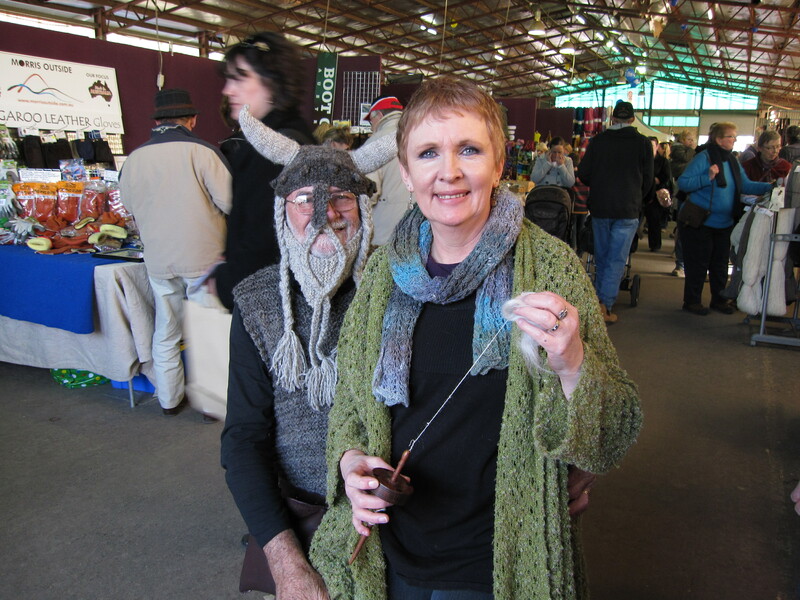 There was a rainbow of indie dyers, wool producers by the bale, all the major and minor suppliers of any of the multitude of things produced to put a smile on the face of your committed knitter, spinner, weaver or whathaveyou. There were the glass cases full of spectacular competition entries to be oohed and aahed over. 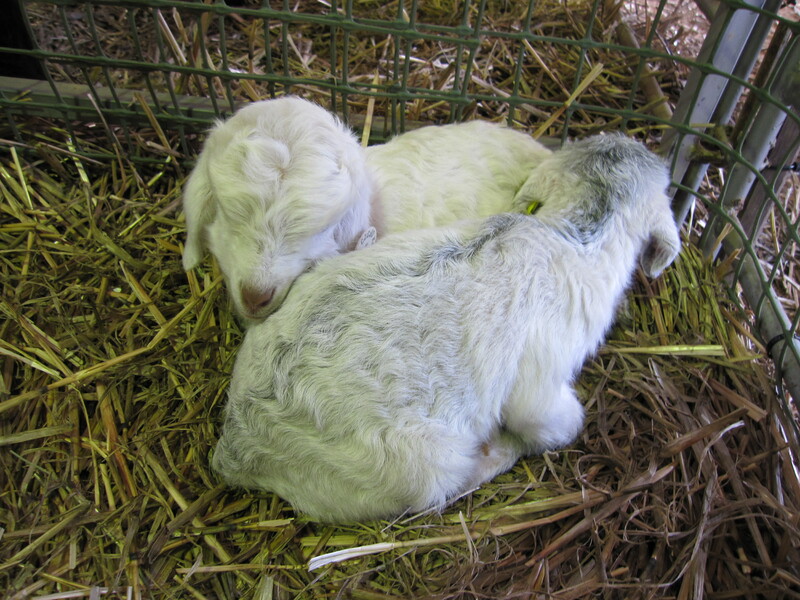 and cashmere, mohair and angora goats. What? 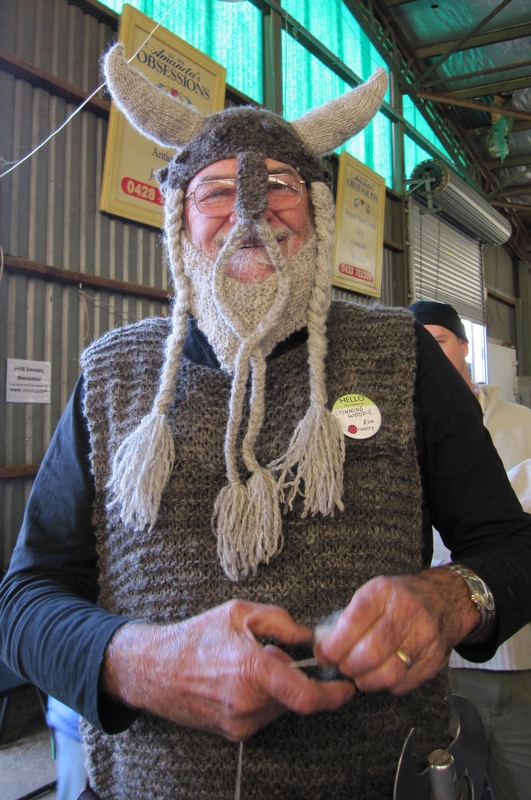 Have you never seen a gentleman of mature years arrayed in full viking garb complete with knitted chain mail and horn-ed helmet? Ron the creator and purveyor of some truly bee-oo-ti-ful turned wooden thingamabobs. 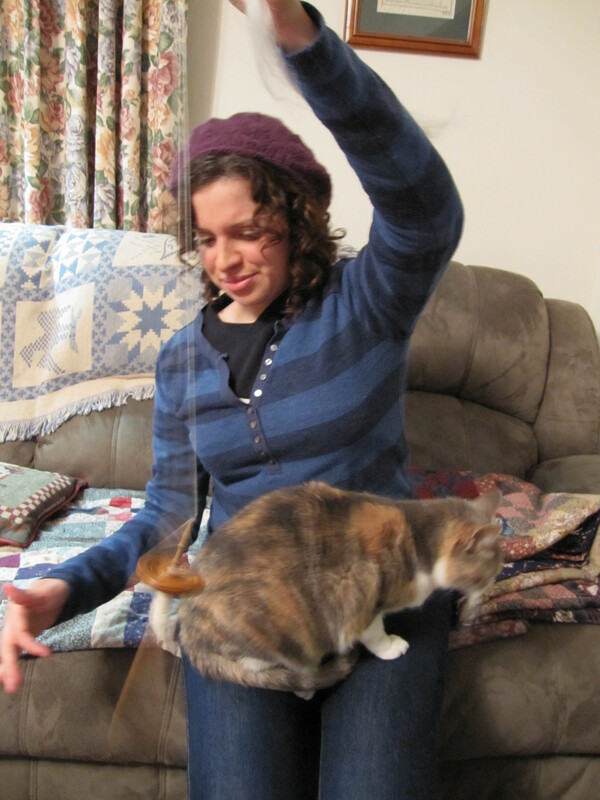 When we happened along, he was explaining the finer points of ‘park-and-draft’ spinning with a drop spindle. Seemed logical enough, and given that my spindle and I are not on speaking terms, it was something I wanted to try … and did. 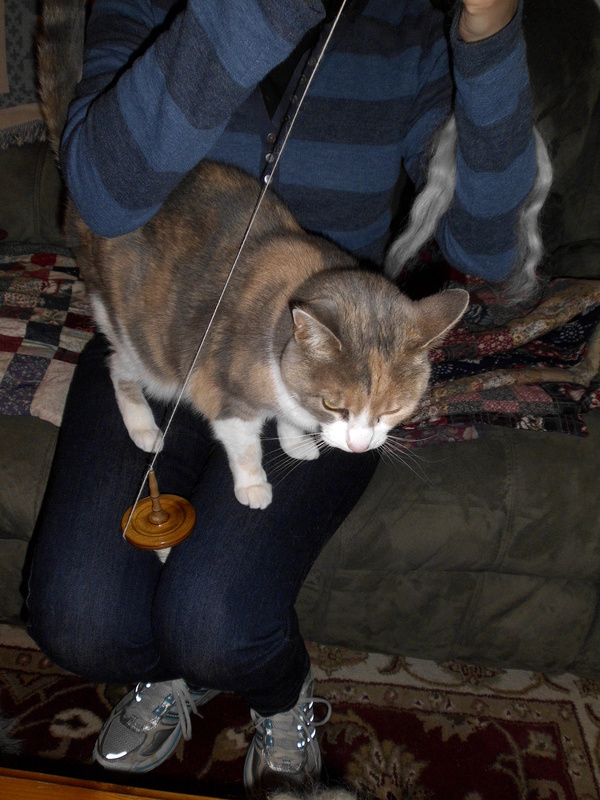 and on the way back to the main pavilions, Nadie expressed an interest in my showing her how to use a drop spindle once we got home. Oh, but I can do better than that! Marched her straight back to Ron, who gave her an extremely detailed and hands-on spinning lesson for at least 20 minutes, even before he realised that I fully intended to buy her a spindle of her own. 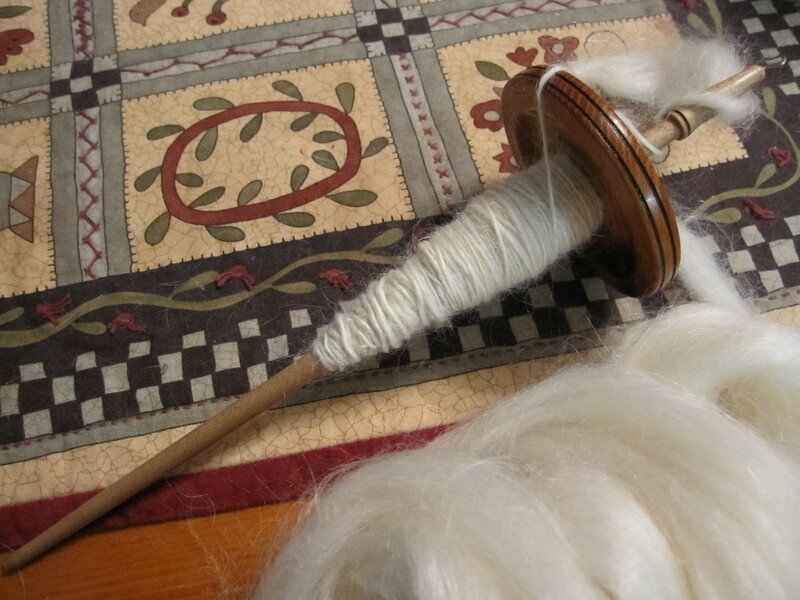 which I did … a lovely 1 oz osage orange one which she is currently using [ with MissC’s ‘help’] to turn out perfectly spun singles. None of your usual beginner thick-and-thin overspun underspun either. 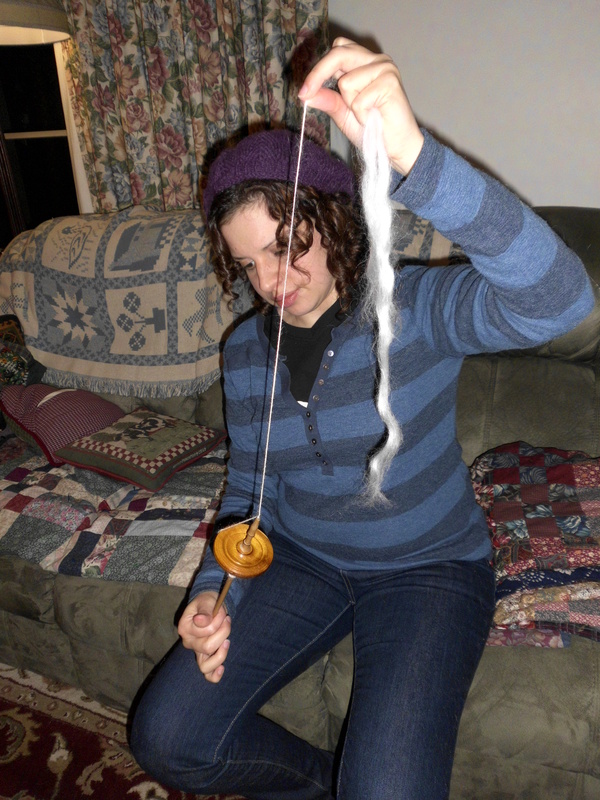 This spindle is so beautifully weighted and dainty, and Ron is such a good teacher, that Nadie is spinning like she’s been doing it for a lot longer than a couple of days.